Great news Northern Rambler’s Club Members!! Alf Holden has agreed to take on the Presidency of our Club effective April 1st. Most of you know Alf as a renowned automotive writer who, until his recent retirement, was a regular contributor to the Toronto Star Weekend ‘Wheels’ section. Alf has attended several of our past Club Executive meetings and is not only a good listener, but also has come forward with several new ideas to help us move the Club forward. Please join me in welcoming Alf to his new role, and wishing him every success. As for me, I will be helping Alf ‘learn the ropes’, as they say, as will long time Club Member Ron Morrison. Below is some additional information Alf supplied to me regarding his automotive journalism background and his history with AMC. Welcome aboard Alf!!! 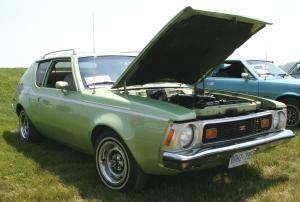 Alfred Holden joined the AMC hobby when he began waxing his parents’ new 1974 Hornet at age 16. In 2012 he stepped up to an Ambassador wagon which has been seen at Rambler Rama meets ever since. 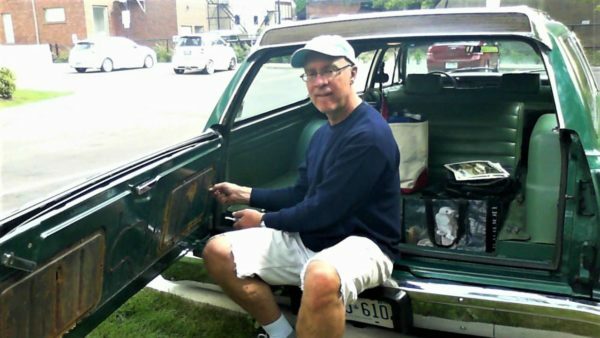 Alfred spent his career in journalism, most of it (1984-90, 1997-2016) as a reporter or editor at The Toronto Star, where he curated the Wheels section’s weekly “Eye Candy” feature on vintage cars, including several owned by Northern Ramblers members. He has witnessed some cool American Motors history — spotting an early Beijing Jeep at a trade show in China in 1986, shopping for a new Eagle Premier in 1988 (a car he wishes he’d bought), seeing AMC plants in Toledo and Kenosha, and interviewing Willie Racine, a childhood friend of his dad’s, who ran the AMC/Jeep dealership in Burlington, Vermont. More lately Alfred has showed up at club meets with his camera and notebook, recording members’ car stories for AM Spirit. Northern Ramblers Car Club Inc. was established in 1979. In 1979, American Motors Corporation was having its difficulties, as were most car manufacturers, but posted record breaking profits for the year. The Gremlin had been replaced by the Spirit this year and the Matador was now discontinued, but one could walk into an AMC dealership and order a 304 powered Spirit based AMX or Pacer, or perhaps a new Concord, which had replaced the Hornet for 1978. All cars came with a new “3-year corrosion warranty” (which is still an industry standard today). Those “in the know” were excited to see how the rumored AWD Eagles, a Concord with Jeep underpinnings, would change AMC fortunes in 1980. Building French cars was in the future, and the original two-seater AMX was a neglected memory, treated with disdain (as were most “gas guzzling muscle cars”) by most in the emerging era of the four cylinder front wheel drive car. 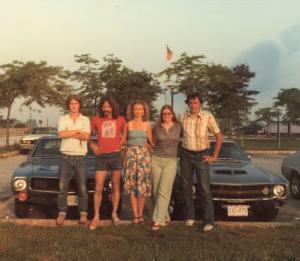 But six or seven Canadian die-hard enthusiasts, tied together by the common bond of recognizing and appreciating the inherent value of the AMX, decided that the time was right to form a club for people who shared their enthusiasm for the car. They had no idea that 25 years later, what they had started would still be going strong with 200 members, devoted to the preservation of the entire marque, spread across Canada. Club Founders The idea came up after the club founders attended the 1978 Classic AMX Club (founded by Larry Mitchell) international convention in Kenosha, Wisconsin . 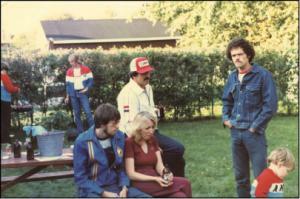 Founding members Harm and Barb van der Veen (first president), Ken Perrier, Roy Hopkins, Jim Battelle (first secretary/treasurer), and John Workman formed the Classic AMX Club of Central Canada, affiliated with the AMX Club International and devoted solely to the two seater car [note; most of these original members are still members of the NRCC today]. 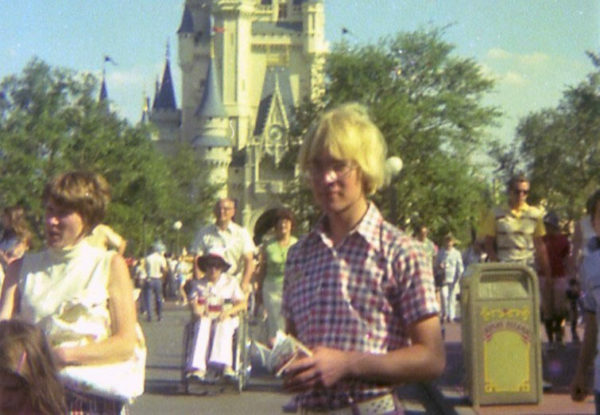 The yearly dues were $12, and the first newsletters were 3 pages double-sided, done up by Barb Vanderveen on a typewriter (wow!) While she worked at home raising her young family. The picture at right was taken on the way back from that first Kenosha trip; from left to right, Ray Pugh (from Baltimore ), John Workman, Deb Workman, Barb van der Veen and Harm van der Veen. Eventually the logistics of having a two-seater car with a young family, as well as interest from owners of Javelins and other AMC cars, made the need for a club devoted to cars other than the AMX evident to the van der Veens. In 1983, the Northern Ramblers Car Club was formed to meet this need. Barb and Harm traded in their AMX for an SC/Rambler (now owned by Jeff Spratt; see July/August “03 AM Spirit). John Workman, Deb Workman, Barb van der Veen and Harm van der Veen. By the end of 1983, the newly-formed Northern Ramblers had just 10 members, but they were a solid and involved core group. At the Motion 1984 Car show at Exhibition Place in Toronto , the club display showed 4 cars, and took home an award for the 3rd best club display–out of 15 clubs! The newsletter met the needs of both AMC clubs, and was called “Xs and Os” (for “AMXs” and “Others”?). During the decade that followed, American Motors met its demise at the hands of Chrysler shareholders and executive, and the last AMC made (an Eagle wagon) would come out of the Brampton, Ontario plant in December, 1987. But the two clubs would continue to grow simultaneously until 1994, with a combined membership now up to 127. The clubs were still separate, but due to resource-sharing, finances and management were some what intertwined. In a move to end duplication and ensure the longevity of a club for AMC owners, in early 1994 the two clubs were amalgamated, and took the name we”re familiar with today. The first president of the newly amalgamated club was Michael McNiece. Norbert Axtmann edited the newsletter (now called, simply, AM Spirit), with technical assistance from Ken Parkman and Dave Baker. Other board members included Kathy Axtmann and Steve Paulitzki. It”s interesting to note that most of this executive board are still members as well! Membership continued to grow after the amalgamation. Other than a brief bit of political rough water surrounding the AMO and the National convention (held in London in 1995), the club would continue to grow and improve unabated. We now have roughly 200 members nationwide (with a few from the United States ), and the legacy of those who paved the way is a well-established club with a very strong foundation and the rest, as they say, is history!